No other gem can match the appeal of opal. Values in the gem world are based on color and opal has it all. Intensities of color equal and surpass all gems. No gem exhibits its array of fire patterns and full spectrum. 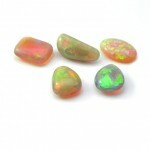 The modern world of opal began with fabulous discoveries in Australia. At approximately the same time the diamond industry was starting to consolidate and promote their diamonds. Opal values were affected by this competition and their purchase discouraged. After more than 100 years of mining, the famous Australian and Mexican mines are almost exhausted. A relatively new discovery of unique gem opal in Ethiopia may fill the demand. This new source may have been a possible source for legendary opals of ancient times. 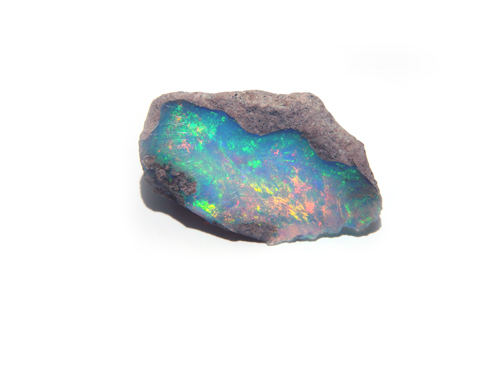 As the primary source of the world’s opal, Australian opal mines produce a wide range of the finest opal. 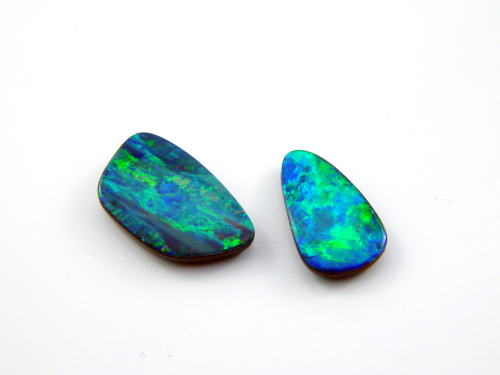 The only source for true black opal of gem quality is Lightning Ridge, NSW. Intense red on dark blue fire with a black base command astronomical prices. Ridge crystal, a more translucent variety of black opal emits a strong red pink light when light passes through it. 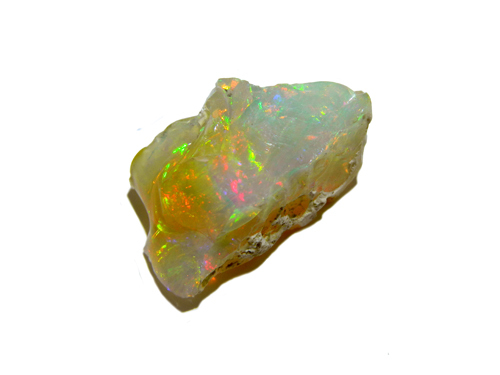 The “red light” effect is the signature of very fine quality opal. Australian opal can occur in thin vein structures. This thin vein material is manufactured into doublets by placing a thin piece of opal on a black matrix background. Placer Gold Design selects only the finest quality of opal doublet to be used in their jewellery designs. Another unique opal doublet form is made from an opalized shell fossil with the back of the shell filled in with a dark matrix with spectacular results. 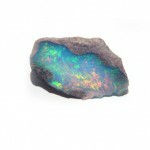 Organic replacement is common in Australian opal and even the bones of complete dinosaurs have been replaced by opal. 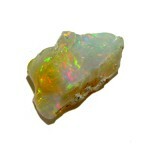 Small amounts of unusual opal was first seen in the early 1980s although the material was not stable. 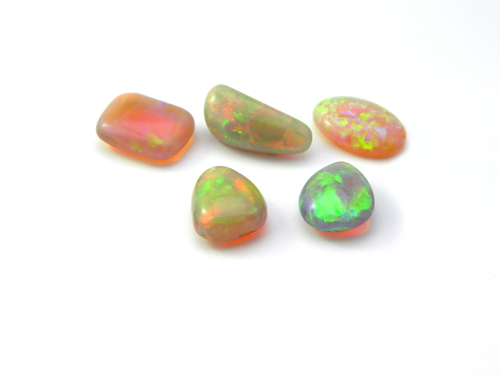 A relatively new area has produced substantial amounts of top gem crystal fire opal and have been introduced to the market. Ethopian opal has a unique phenomenon of absorbing water to the point of turning the opal almost transparent. When allowed to dry the opal stabilizes into a semi-opaque state. This does not stress the stone and gives the stone its own unique durable plasticity. Placer Gold Design’s 45 years of experience of grading and purchasing of rough gem opal has secured an exceptional inventory of fine gem rough material which will be cut over the next year. 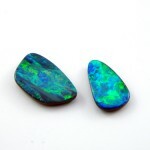 To see our inventory of Opal Jewellery, click here.